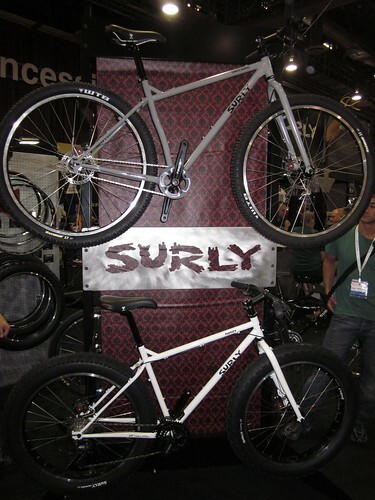 One of the exhibitors at Interbike I took the most interest in was Surly. Surly makes affordable, practical, steel bicycle frames for people that want to build a bike for a specific purpose, or are looking for a good base to build the bike of their dreams. 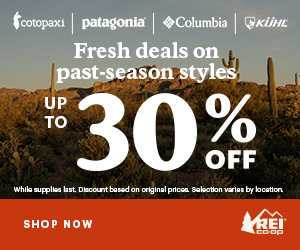 Low maintenance, comfortable, durable, and versatile. 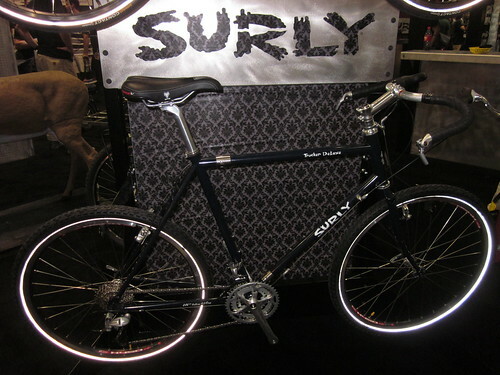 Here’s a look at what Surly has to offer for the 2011 model year. The Troll is an all new frame for 2011, and there’s really no specific intended use. 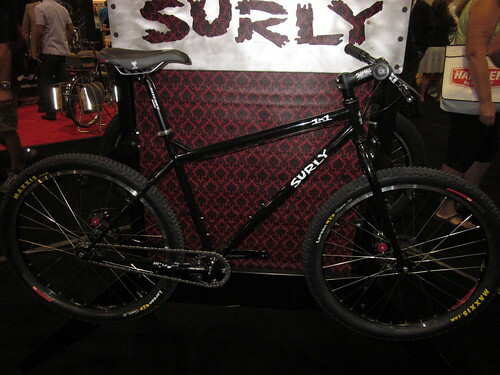 Surly says to use it as a mountain bike, as a cruiser, commuter, touring rig, or utility tractor. It comes with mounts on the frame to make it into just about anything you want. The rear dropouts are also specially designed to easily accommodate a Surly Trailer. 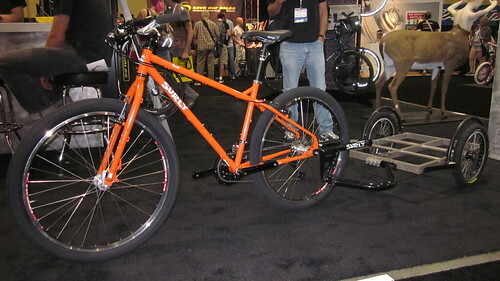 Frame and fork (100mm suspension corrected) weight and price are still to be announced, but the color is Agent Orange. 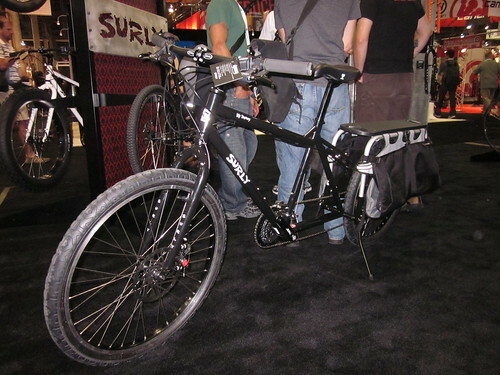 Surly introduced two trailers for 2011, a shorter one in a 32″ length, and a longer one in a 64″ length. The hitch has been designed to work as universally as possible, able to connect to a wide variety of bicycles. The beds and hitch are constructed mainly of TIG-welded 4130 CroMoly steel, and the beds have threaded eyelets for bolting down decking, corner posts, or creating other custom accessories using readily-accessible materials from your local hardware store, lumberyard, or home improvement store. 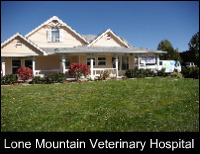 The trailers roll low to the ground on sturdy 16″ wheels. Expect the trailers to be $750 for the short, $775 for the long. 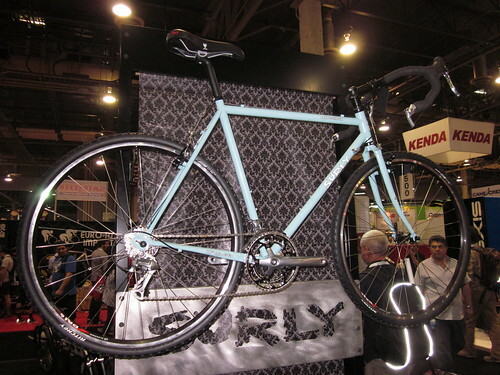 For 2011, the Trucker Deluxe will replace the Travelers Check, and is Surly’s new travel bike. The bike easily breaks down into 2 pieces via two couplings on the frame. The Travelers Check was based on a cyclocross frame with 700c wheels, but the Trucker Deluxe fits up to 26×2.1 tires with clearance for fenders, making it more portable for airline boxes, and sturdier for more applications. Color is Midnight Blues. 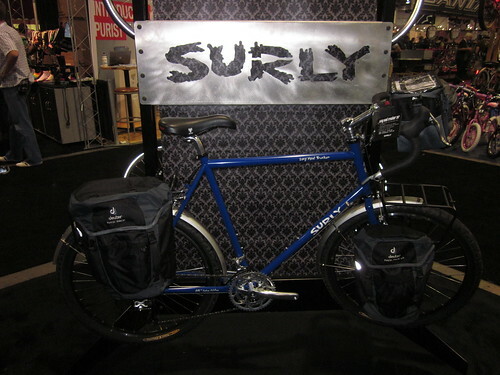 No big changes for Surly’s touring bike, the Long Haul Trucker. The LHT is now available in Blue Velvet and Blacktacular, in a complete bike or frame only. The Big Dummy Utility bike is back with small refinements. The swooping top tube has been replaced with a straight tube, reinforced with a small tube that connects the seat tube to the top tube, increasing torsional stiffness. 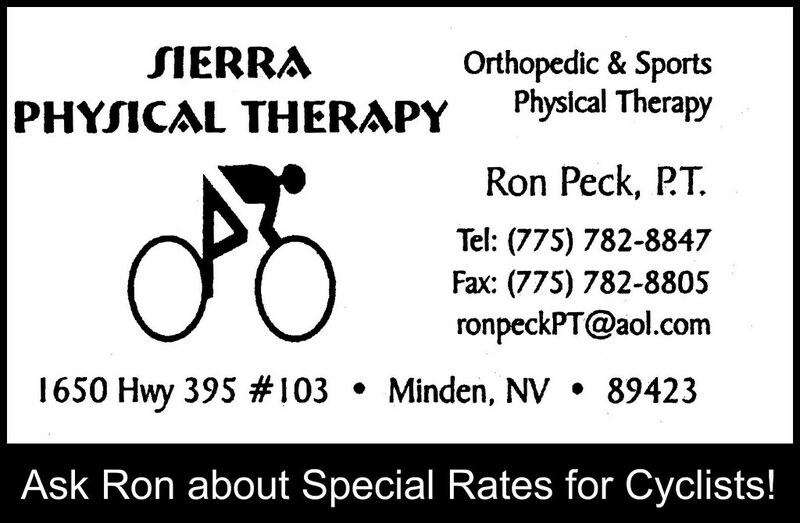 New parts spec brings the complete bike price down a bit. 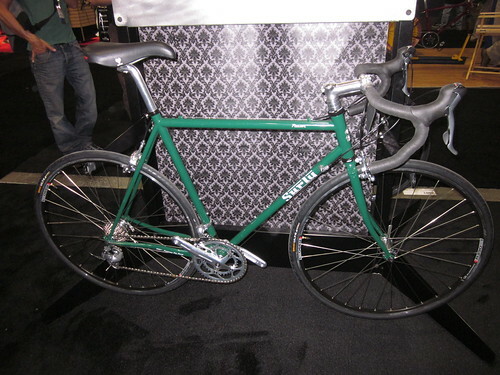 Available as a frameset for $950, or a complete bike for $1840. 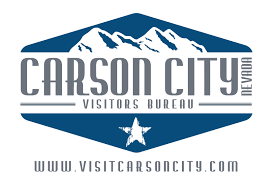 Colors are Tar Pit Black and Military Green. Surly’s all-terrain (snow, sand, whatever) bike is now available as a frameset or as a complete bike. The Pugsley’s frame keeps the standover increase added in 2010, and the rear disc mount has been redesigned to make removing and installing wheel easier – no more loosening disc caliper adapter bolts. The cantilever bosses have been removed, so the Pugsley is now disc only. 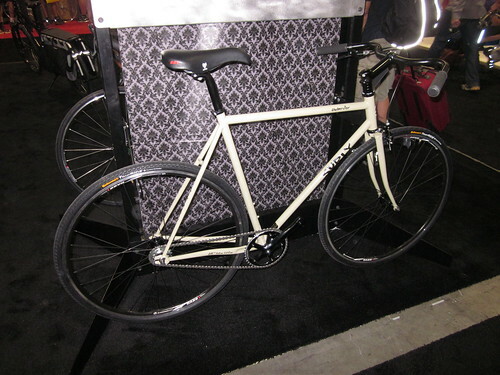 The new color is Snowblind White, and the prices are $575 for the frameset, or $1550 for the complete bike. The Steamroller complete gets some big changes for 2011. Most notable is the use of Surly’s “Open Bar”, a wide upright handlebar that will give the rider better control in a wide variety of urban terrain. 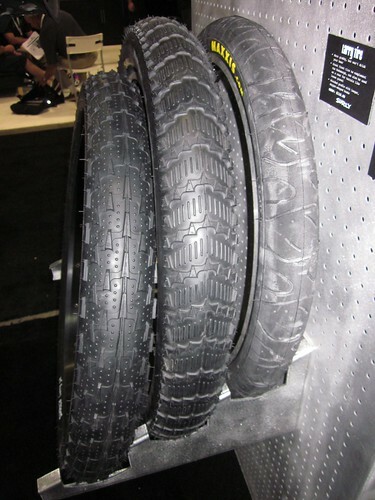 Taller gearing (44×19) and wider tires (700c x 32mm) are also new for 2011. The drivetrain is still fixed, but a flip-flop rear hub enables the use of a freewheel for those who like to coast. Colors for the new model year are Black and “Meth Teeths Gray-Green”. The Pacer, Surly’s comfortable steel road bike for those all-day rides, now comes as a complete bike. The color this year is British Racing Green. 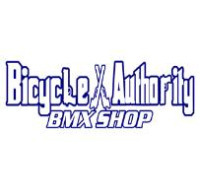 The complete bike will sell for $1175. Surly’s single speed specific 26″ 1×1 is back with new geometry that includes 100mm suspension correction plus the same top tube as Karate Monkey/Big Dummy/Pugsley. The standover remains the same due to the new top tube design (otherwise, giving it the 100mm suspension correction would have raised it). Like the other frames, the rear disc mount has been redesigned to make removing and installing wheel easier – no more loosening disc caliper adapter bolts. The 1×1 frameset comes in black only, and will sell for $475. 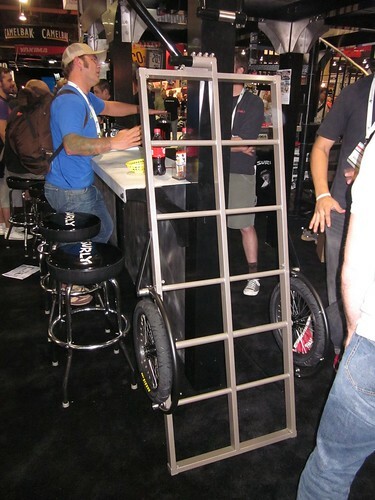 There’s a new lightweight Pugsley rim. 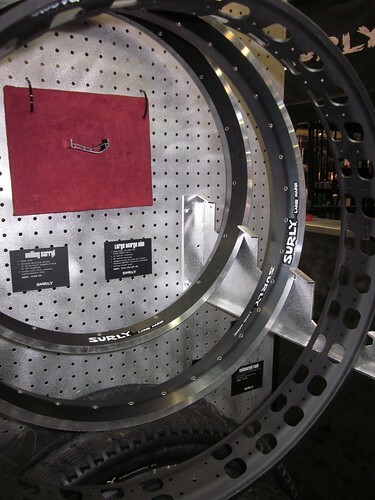 The Rolling Darryl has numerous cutouts to shave weight off the massive Pugsley wheels. The Larry Tire is fairly new, and is supposed to have better steering traction than the Endomorph for front tire applications on the Pugsley.